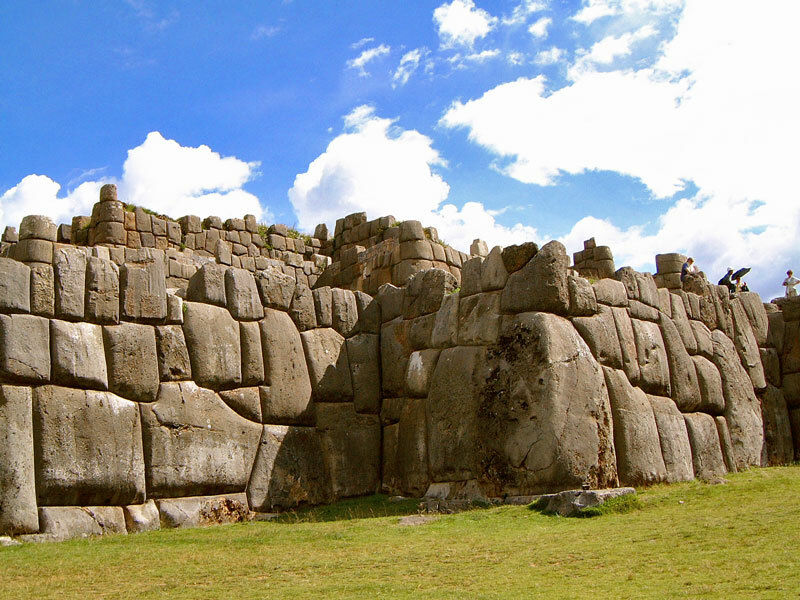 The huge walls of Saqsaywaman can be easily put into perspective here by people sitting on top of the wall in the right of the photo. They are simply monstrous and probably have no equal anywhere in the world. You can also get a good impression of the complexity of the construction, which required the massive monolithic stones to be suspended and carved into shape in mid-air before being lowered down. Many people have quite rightly pointed out that this would be impossible, but there is no known alternative. It is one of the great mysteries of the Andes.